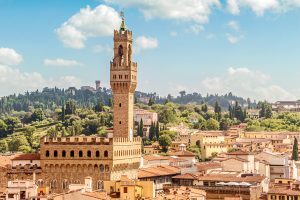 Avete deciso di visitare Firenze in 3 giorni (o qualunque sia la durata del vostro soggiorno), siete arrivati in città e avete bisogno di lasciare i vostri bagagli? Non preoccupatevi, ci sono vari punti dove è possibile farlo. Non avete che da scegliere quello che più vi è più comodo. 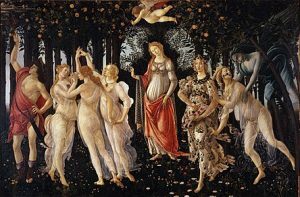 Gli Uffizi sono famosi in tutto il mondo, così come sono famose le code interminabili al suo ingresso che possono durare ore. Per questo vi consigliamo di prenotare il biglietto on-line, salterete la fila e non comincerete la visita già stanchi! 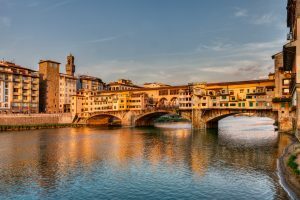 Se volete avere le risposte a tutte le vostre domande per visitare Firenze cliccate QUI! Acquista il biglietto per gli Uffizi! “Contribution” means Content Posted by you. “Intellectual Property” means intellectual property owned by us, of every sort, whether or not registered or registrable in any country, including intellectual property of kinds coming into existence after today; and including, among others, patents, trademarks, unregistered marks, designs, copyrights, software, domain names, discoveries, creations and inventions, together with all rights which are derived from those rights. 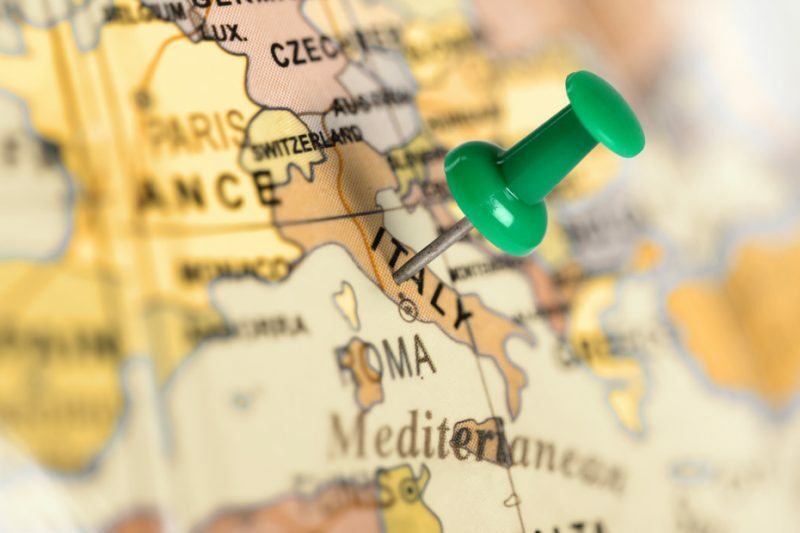 “Our Website” means any website or service designed for electronic access by mobile or fixed devices which is owned or operated by us Visitareromin3giorni.it – Nero Scuro Ltd. It includes all of the hardware and software installations that enable Our Website to function. “Post” means place on or into Our Website any Content or material of any sort by any means. “Services” means all of the services available from Our Website. “Visitor” means anyone who visits Our Website. 2.1. a reference to a person includes a human individual, a corporate entity and any organisation which is managed or controlled as a unit. 2.2. a reference to a person includes reference to that person’s successors, legal representatives, permitted assigns and any person to whom rights and obligations are transferred or pass as a result of a merger, division, reconstruction or other re-organisation involving that person. 2.3. in the context of permission, “may not” in connection with an action of yours, means “must not”. 2.4. the headings to the paragraphs and schedules (if any) to this agreement are inserted for convenience only and do not affect the interpretation. 2.7. the words “without limitation” shall be deemed to follow any use of the words “include” or “including” herein. 2.8. a reference to an act or regulation includes new law of substantially the same intent as the act or regulation referred to. 2.9. this agreement is made only in the English language. If there is any conflict in meaning between the English language version of this agreement and any version or translation of this agreement in any other language, the English language version shall prevail. 3.1. We do not offer the Services in all countries. We may refuse to provide the Services if you live in a country we do not serve. 3.2. In entering into this contract you have not relied on any representation or information from any source except the definition and explanation of the Services given on Our Website. 3.3. Subject to these terms and conditions, we agree to provide to you some or all of the Services described on Our Website. 3.4. So far as we allow use of our Intellectual Property, we grant a licence to you, limited to the terms set out in this agreement. 3.5.1 the change will take effect when we Post it on Our Website. 3.5.2 you agree to be bound by any changes. If you do not agree to be bound by them, you should not use Our Website or the Services. 4.2. If you Post a Contribution to any public area of Our Website it becomes available to all the World. We have no control over who sees it nor what anyone does with it. 4.3. Restricted information may also be available to all the World, subject only to a user joining as a member. It is important that material you Post is accurate and complete, but you should avoid Posting unnecessary confidential information. 4.4. We need the freedom to be able to publicise our Services and your own use of them. You therefore now irrevocably grant to us the right and licence to edit, copy, publish, distribute, translate and otherwise use any Contribution that you place on Our Website, throughout the World and in any medium. You represent and warrant that you are authorised to grant all such rights. 4.5. We will use that licence only for commercial purposes of the business of Our Website and will stop using it after a commercially reasonable period of time. 4.6. You agree to waive your right to be identified as the author and your right to object to derogatory treatment of your Contribution as provided in the Copyright, Designs and Patents Act 1988 s80. 4.7. You now irrevocably authorise us to publish feedback, comments and ratings about your activity through Our Website, even though it may be defamatory or critical. 4.8. Posting a contribution does not change your ownership of the copyright in it. We have no claim over it and we will not protect your rights for you. 4.10. You accept all risk and responsibility for determining whether any Contribution is in the public domain and not confidential. 4.11. Please notify us of any security breach or unauthorised use of your account. 4.12. We do not solicit ideas or text for improvement of our Service, but if you do send to us material of any sort, you are deemed to have granted to us a licence to use it in the terms set out at in the sub paragraphs above. We invite you to Contribute Content to Our Website in several ways and for different purposes. We have to regulate your use of Our Website to protect our business and our staff, to protect other users of Our Website and to comply with the law. These provisions apply to all users of Our Website. We do not undertake to moderate or check every item Posted, but we do protect our business vigorously. If we believe Content Posted breaches the law, we shall co-operate fully with the law enforcement authorities in whatever ways we can. 5.18. send age-inappropriate communications or Content to anyone under the age of18. 6.2. keywords or words repeated, which are irrelevant to the Content Posted. 6.3. the name, logo or trademark of any organisation other than that of you or your client. 6.5. material or links to material that exploits people in a sexual, violent or other manner, or solicits personal information from anyone under 18 years old. 7.1. For the avoidance of doubt, this paragraph is addressed to any person who comes on Our Website for any purpose. 7.2. We are under no obligation to monitor or record the activity of any user of Our website for any purpose, nor do we assume any responsibility to monitor or police Internet-related activities. However, we may do so without notice to you and without giving you a reason. 7.3.1 your claim or complaint must be submitted to us in the form available on Our Website, or contain the same information as that requested in our form. It must be sent to us by post or email. 7.3.4 we may re-instate the Content about which you have complained or not. 7.4. In respect of any complaint made by you or any person on your behalf, whether using our form of complaint or not, you now irrevocably grant to us a licence to publish the complaint and all ensuing correspondence and communication, without limit. 7.5. You now agree that if any complaint is made by you frivolously or vexatiously you will repay us the cost of our investigation including legal fees, if any. We may, at our discretion, give you permission to access Our Website for the purpose of Posting or uploading a Contribution or Content of some sort. We may read, assess, review or moderate any Contribution or Content Posted on Our Website. If we do, we need not notify you or give you a reason. If you violate Our Website or use it unlawfully or immorally, we will take the strongest action against you that we can. By breaching this provision, you would commit a criminal offence under the Computer Misuse Act 1990. Your action may also be unlawful in other countries, where you may accordingly be subject to extradition and criminal proceedings. 8.1. modify, copy, or cause damage or unintended effect to any portion of Our Website, or any software used within it. 8.10. upload or republish any part of our Content on any Internet, intranet or extranet site. 8.13.3 “framing”, inserting pop-up windows, interstitial pages or advertisements, or similar techniques. 8.14.1 create a hyperlink to Our Website for the purpose of promoting an interest common to both of us. You can do this without specific permission. This licence is conditional upon your not portraying us or any product or service in a false, misleading, derogatory, or otherwise offensive manner. You may not use any logo or other proprietary graphic or trademark of ours as part of the link without our express written consent. 8.14.2 you may copy the text of any page for your personal use in connection with the purpose of Our Website or a Service we provide. 9.1. We may, from time to time, set a limit on the number of messages you may send, store, or receive through the Services. We may delete messages in excess of that limit. We shall give you notice of any change to your limit, except in an emergency. 9.2. We assume no responsibility for the deletion or failure to store or deliver email or other messages. 9.3. You accept that we cannot be liable to you for any such deletion or failure to deliver to you. 9.4. We maintain reasonable procedures for general backup of data for our own purposes but we give no warranty that your data will be saved or backed up in any particular circumstances unless we have made specific contractual arrangements with you in writing. 10.1. We may terminate this agreement at any time, for any reason, with immediate effect by sending you notice to that effect by post or email. 11.1. not do anything which does or might reduce the value of our Intellectual Property or challenge our ownership of it. 11.3.4 in any way provide any information about it to any other person or generally. 11.4. not use the Intellectual Property except directly as intended by this agreement or in our interest. 12.1. The law differs from one country to another. This paragraph applies so far as the applicable law allows. 12.2. All implied conditions, warranties and terms are excluded from this agreement. 12.3. The Site includes Content Posted by third parties. We are not responsible for any such Posting. If you come across any Content which offends against this document, please contact us via the “Contact us” page on Our Website. 12.4. You are advised that Content may include technical inaccuracies or typographical errors. This is inevitable in any large website. We would be grateful if you bring to our immediate attention, any that you find. 12.5. The Site contains links to other Internet websites. We have neither power nor control over any such website. You acknowledge and agree that we shall not be liable in any way for the content of any such linked website, nor for any loss or damage arising from your use of any such website or from your buying services or goods via such a website. 12.6.4 available or accessible, without interruption, or without error. 12.7. We claim no expert knowledge in any subject. We disclaim any obligation or liability to you arising directly or indirectly from information you take from Our Website. 12.8.4 failure or malfunction of computer hardware or software or technical equipment or system connected directly or indirectly to your use of the Services. 12.9. You agree that in any circumstances when we may become liable to you, the limit of our liability is the amount you have paid us in the immediately preceding 12 month period for the Services concerned. 12.10. Except in the case of death or personal injury, our total liability under this agreement, however it arises, shall not exceed the sum of £1,000. 12.11.2 economic loss or other loss of turnover, profits, business or goodwill even if such loss was reasonably foreseeable or we knew you might incur it. 12.12. This paragraph (and any other paragraph which excludes or restricts our liability) applies to our directors, officers, employees, subcontractors, agents and affiliated companies (who may enforce this clause under the contracts (Rights of Third Parties) Act 1999) as well as to ourselves. 12.13. Nothing in this agreement shall be construed as limiting or excluding our liability for death or personal injury caused by our negligence. and for the purpose of this paragraph you agree that the cost of our management and technical time is properly recoverable and can reasonably be valued at £ 100.00 per hour without further proof. 14.1. You undertake to provide to us your current land address, e-mail address, telephone and fax numbers as often as they are changed together with all information that we may require to enable us to fulfil our obligations under this contract. 14.2. If any term or provision of this agreement is at any time held by any jurisdiction to be void, invalid or unenforceable, then it shall be treated as changed or reduced, only to the extent minimally necessary to bring it within the laws of that jurisdiction and to prevent it from being void and it shall be binding in that changed or reduced form. Subject to that, each provision shall be interpreted as severable and shall not in any way affect any other of these terms. 14.3. The rights and obligations of the parties set out in this agreement shall pass to any permitted successor in title. 14.4.1 publish all text and Content relating to the claimed breach, including your name and email address and all correspondence between us and our respective advisers; and you now irrevocably give your consent to such publication. 14.4.4 issue a claim in any court. 14.5. Any obligation in this agreement intended to continue to have effect after termination or completion shall so continue. 14.6. No failure or delay by any party to exercise any right, power or remedy will operate as a waiver of it nor indicate any intention to reduce that or any other right in the future. 14.7. You agree that we may disclose your information including assigned IP numbers, account history, account use, etc. to any judicial or proper legal authority who makes a written request without further consent or notification to you. 14.8. Any communication to be served on either of the parties by the other shall be delivered by hand or sent by first class post or recorded delivery or by fax or by e-mail. If sent by e-mail to the address from which the receiving party has last sent e-mail: within 72 hours if no notice of non-receipt has been received by the sender. 14.9. In the event of a dispute between the parties to this agreement, then they undertake to attempt to settle the dispute by engaging in good faith with the other in a process of mediation before commencing arbitration or litigation. 14.10. This agreement does not give any right to any third party under the Contracts (Rights of Third Parties) Act 1999 or otherwise, except that any provision in this agreement which excludes or restricts the liability of our directors, officers, employees, subcontractors, agents and affiliated companies, may be enforced under that act. 14.12. In the event of any conflict between any term of this agreement and the provisions of the articles of a limited company or any comparable document intended to regulate any other corporate or collective body, then the terms of this agreement shall prevail. 14.13. Each party shall bear its own legal costs and other costs and expenses arising in connection with the negotiation and drafting of this agreement. These terms and conditions are the contract between you and Visitareromin3giorni.com, trading name of Nero Scuro Ltd (“us”, “we”, etc). By visiting or using Our Website, or signing up for our Services, you agree to be bound by them. You are: Anyone who uses Our Website or the Services that we provide. We deal only with people over the age of 18 years because, until you reach that age, you are not able to enter into a binding legal contract. We are Nero Scuro Ltd, a company registered in England and Wales, number 05634538. Our address is Kemp House, 152-160 City Road, EC1V 2NX, London. This website does not automatically capture or store personal information, other than logging the user’s IP address and session info necessary to enable user’s access to the offered services. This is recognised by the Web server and is only used for system administration and to provide statistics which the webmaster uses to evaluate use of the site. In order for us to provide you with log in facilities and other website’s services such as our messaging system, please note that cookies are collected and temporarily stored on to the web server. You may be asked for personal information if you want to take advantage of specific services we offer such as subscription to our newsletter. In each case we will only use the personal information you provide to deliver the services you have told us you wish to take part in. Used to locate and display Web pages via a software application. The most popular ones are Netscape Navigator and Microsoft Internet Explorer. Message given to a web browser by a web server. The message is then stored by the browser in a text file called cookie.txt. Each time the browser requests a page from the server, this message is sent back. A cookie’s main objective is to identify users and personalise their visit by customising web pages for them for example by welcoming them by name next time they visit the same site. A site using cookies will usually invite you to provide personal information such as your name, e-mail address and interests. All networks connected to the internet speak IP, the technical standard which allows data to be transmitted between two devices. TCP/IP (Transmission Control Protocol/Internet Protocol) is responsible for making sure messages get from one host to another and that the messages are understood. Delivers (serves up) web pages to your computer. Non sono tantissimi quelli che si ricordano che Firenze è stata per un periodo, seppur breve (dal 1865 al 1871), tra le capitali d’Italia, dopo Torino e prima di Roma. Una piccola parentesi nella storia del nostro Paese, ma che comunque ha causato nella fisionomia della città uno stravolgimento non indifferente. Firenze infatti, sotto la guida dell’architetto fiorentino Giuseppe Poggi, venne stravolta: furono sventrati interi quartieri medievali del centro storico, e, per fare spazio a nuovi viali larghi circa 40 metri, furono abbattute le mura trecentesche di Arnolfo di Cambio. I palazzi storici esistenti invece diventarono i nuovi luoghi del potere. Il re Vittorio Emanuele II, abbandonò Torino per prendere alloggio a Palazzo Pitti, che così diventò la nuova reggia. 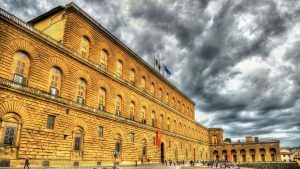 Il presidente del Consiglio La Marmora, dal canto suo, scelse come sede Palazzo Medici Riccardi, mentre il Salone dei Cinquecento di Palazzo Vecchio ospitò la Camera dei Deputati e il Ministero degli Affari Esteri. Il Senato infine occupò in un primo momento la Sala dei Duecento di Palazzo Vecchio, per poi spostarsi nell’antico Teatro Mediceo degli Uffizi. Tra le capitali d’Italia, Firenze fu la seconda ad assumere questo ruolo, subentrando a Torino e lasciando poi il passo a Roma. 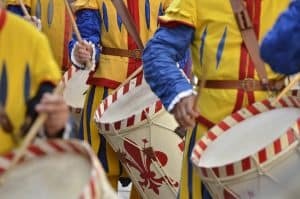 Le cose andarono così: nel 1861 Torino, già capitale del Regno di Sardegna e proclamata capitale del nuovo Stato anche se, il 17 marzo dello stesso anno, Roma era già stata insignita del titolo di “capitale morale”. Infatti Roma e la maggior parte del Lazio costituivano ancora lo Stato della Chiesa, con il papa come sovrano e le truppe francesi di Napoleone III a protezione. Per fare in modo che queste ultime si ritirassero dallo Stato pontificio, l’Italia, il 15 settembre 1864, stipulò con la Francia la Convenzione di settembre, con cui si impegnava a non invadere Roma e a proteggere il papa da attacchi esterni. In cambio la Francia pretese dall’Italia che proclamasse una nuova capitale per dare dimostrazione di non essere più interessata a Roma. La scelta cadde su Firenze, che fu capitale del regno d’Italia dal 1865 al 1871, anno in cui, dopo la breccia di Porta Pia che vide Pio IX costretto a ritirarsi da Roma con la sola concessione del Vaticano, del Laterano e della villa pontificia di Castel Gandolfo, Roma venne annessa al Regno d’Italia, di cui divenne la capitale. Firenze e Roma non distano molto tra loro (le separa solo un’ora e venti di treno) perciò è una bella idea visitare entrambe, per rendersi conto della bellezza che unisce queste due capitali d’Italia e di quanto siano state importanti per la costruzione della storia del nostro Paese. Roma è decisamente più grande di Firenze, perciò per farsi un’idea della città bisogna mettere in conto qualche giorno in più rispetto al capoluogo toscano. Visitare Roma in 3 giorni è il periodo di soggiorno ideale. Si ha infatti la possibilità di visitare i musei e le principali attrazioni, organizzandosi magari prima della partenza gli itinerari adatti ad una visita a Roma in 3 giorni che stabiliscano cosa vedere o fare a seconda degli interessi e del tempo che si vorrà dedicare ad ogni attrazione. 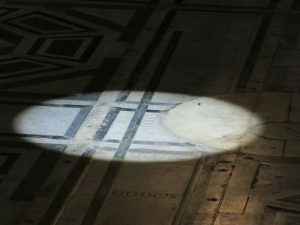 La scelta delle tappe degli itinerari è vasta: da Piazza San Pietro a Piazza Navona, dal Colosseo al Pantheon, non dovete fare altro che decidere cosa visitare. Così come per Firenze, la cosa migliore da fare è girare per la Capitale a piedi. Le distanze tra le principali attrazioni infatti lo permettono, specie se suddividete bene le cose da vedere a Roma nell’arco dei 3 giorni della vostra permanenza. A pochi passi da Palazzo Vecchio, troviamo la chiesa a celebrazione delle Arti per eccellenza: la Chiesa di Orsanmichele. Nel Medioevo, al suo posto vi era una loggia che ospitava un granaio e un mercato. Solo nel XIV secolo l’edificio venne sottoposto ad alcune modifiche strutturali e cambiò impiego. La Chiesa di Orsanmichele è nota soprattutto per i suoi esterni. 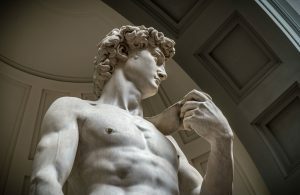 Qui si trovano 14 nicchie, ognuna ospita una statua a rappresentazione delle altrettante Arti fiorentine. Gli originali del Quattrocento/Cinquecento, tra cui alcune opere di Donatello e del Brunelleschi, sono conservate all’interno del museo, aperto solo di Lunedì. Alcune statue sono state realizzati con materiali costosi, come il marmo o il bronzo, per rappresentare le Arti più benestanti. Visitando la Chiesa di Orsanmichele, a cui si può accedere gratuitamente, si possono anche ammirare l’Altare di Sant’Anna e il tabernacolo raffigurante la Madonna delle Grazie. Il tabernacolo, realizzato in marmo, è un brillante esempio dello stile Gotico Italiano.